Brand Finance which is the world’s leading independent branded business valuation and strategy consultancy recorded that Sri Lankan Nation Brand has been achieved 9% growth in 2016 recording a brand value of 74USDbn against 68USDbn recorded in 2015. Accordingly the country rank has been shifted up to 55 from 57 this year. 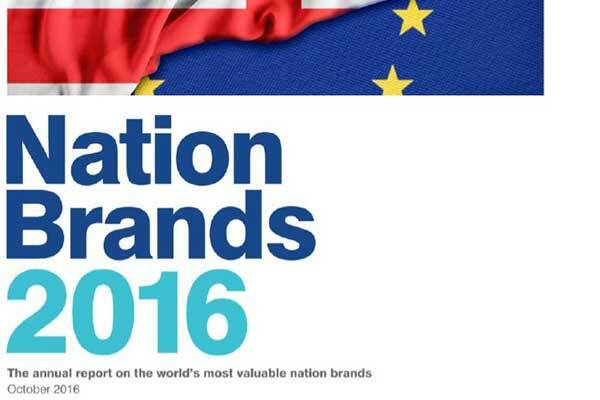 The Brand Finance Nation Brand Strength Index (BSI) has been constructed using the royalty relief mechanism. Sri Lanka brand strength has been shifted from A+ which indicates a strong brand to AA- which leads to very strong status in this year indicating a positive indication towards the brand development. BSI and Brand Royalty Rate with the Brand revenues have been contributed towards this growth of Brand Value. Investment, Society, Goods and Services has been utilized as key considerations whereas the Goods and Services are measured under governance, market and Tourism in view of the importance of tourism as a driving factor towards nation brand building. According to the Brand Finance 2016 published on 13.10.2016, Luxembourg has become the fastest growing nation brand having increased 43% to 85US$billion. Japan has recorded the most significant growth among the major economies whereas the brand value has risen up to 18% due to improvements across variety of key matrices. Sri Lanka Tourism is awaiting to re-ignite this Nation Brand using a strong Destination Marketing Campaign in 2017.